What are the charges for horse riding kayaking etc. Hello MrsToad, For non-lodged guests we can offer a full day activity called Estancia Day, that includes guided horseback riding (2hs), gourmet lunch with home wines and soft drinks, kayaking and self-guided trekking. The rate is of US$ 170 per person, it starts at 10:30hs with the ride and ends at around 5pm. If you’re looking for just horseback riding you can join the morning ride (10:30am) or afternoon ride (3pm), also 2 hours long, for a price of US$ 50 per person. The rides are done in a group according to your expertise. In both cases we can arrange transfers or you can take a taxi or drive yourself to our Estancia. If any of these options works for you please email us and let us know in which dates you’d be interested. Please note that we only accept bookings in advance in all cases. Thank you, we hope to see you soon! Best regards, Luz - Peuma Hue Bookings dpt. May I ask if you are usually full over the Christmas holidays? We are interested in a party of 5 maybe for Christmas 2018. Thanks for any response! Hello, thank you for your question! We usually fill very quickly for the holiday season, but we still don't have any bookings from Dec 2018. My best advice would be to work your dates out before March 2018 in order to get the best rooming option for your group. 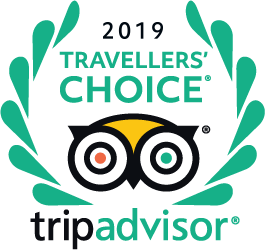 If you wish to receive more information or have any other question please feel free to email us at the address in our TripAdvisor page! Best, Luz - Bookings dpt. Greetings, Your Estancia was recommended by a guide we had in Bariloche. May I ask how far it is from Bariloche? We like the town and we also love estancias. We like to go into town and experience restaurants like Manush where locals go and also Alto El Fuego. We would be traveling with 3 or maybe 5 in our party which would include either 2 or four adults and a 14 year old child. We love to horseback ride. Hello, thanks for your question! We're located 27km away from town. This might seem far away but if you rent a car or take a transfer downtown you'd be there in 30 minutes :) We have two different lodging plans, one including just breakfast and other including activities and meals -- you can choose to mix these two or to take the first and request activities and meals on the go. For instance, you can have a day of riding, trekking and kayaking and the next day of exploring Bariloche, going to breweries (there are lots of different ones!) and eating at a local parrilla, to come back later to a warm fireplace and a glass of Malbec... If you'd like to receive a quote and more information please email us at the address in our TripAdvisor page!